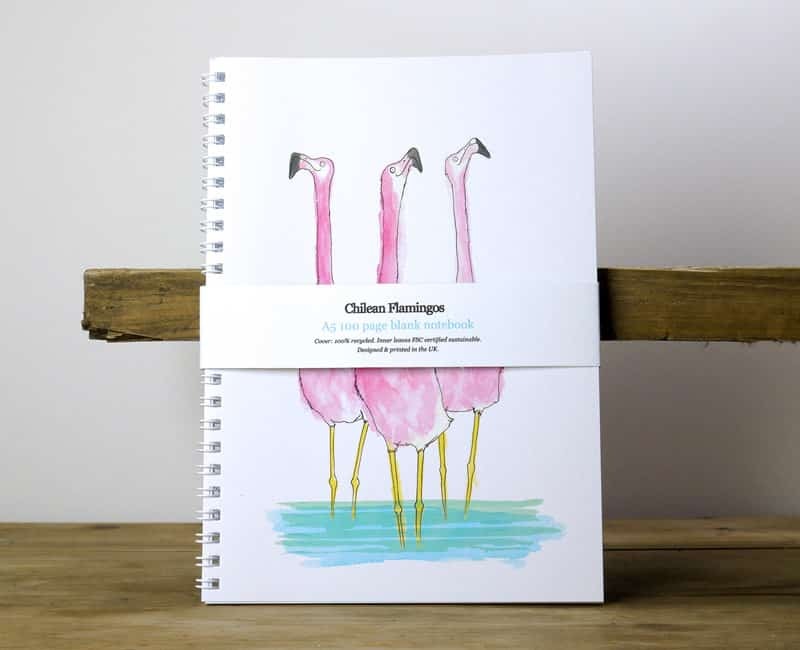 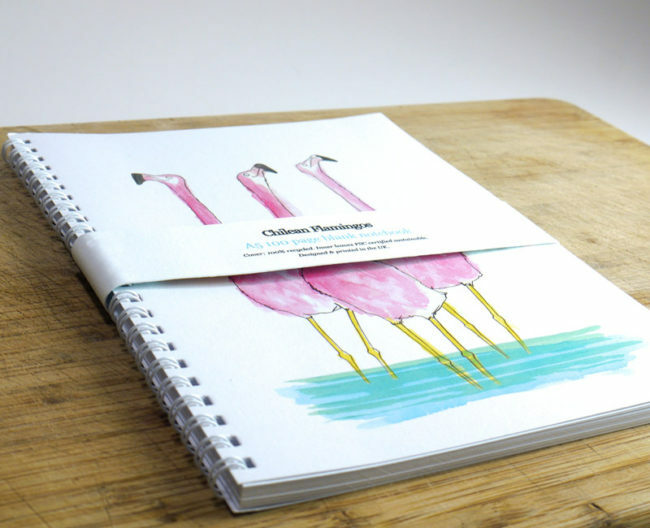 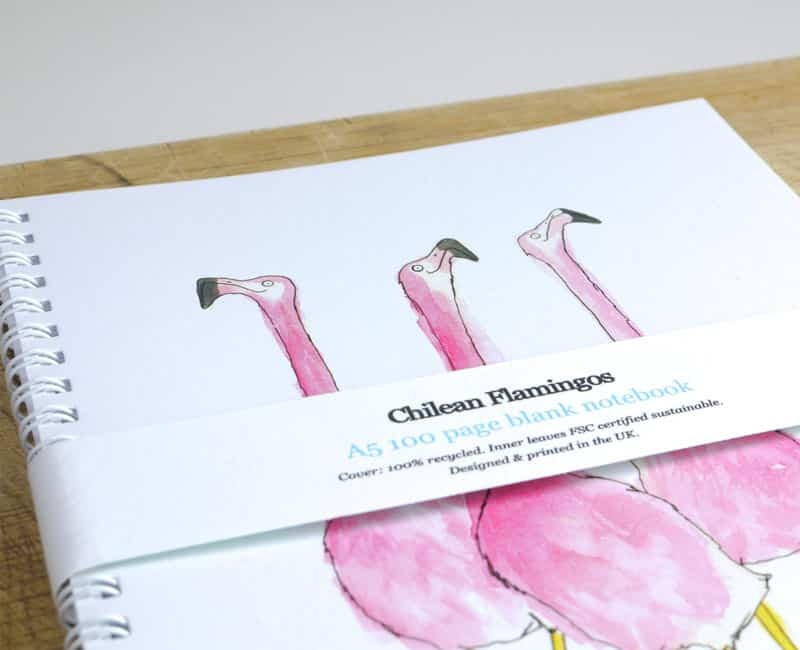 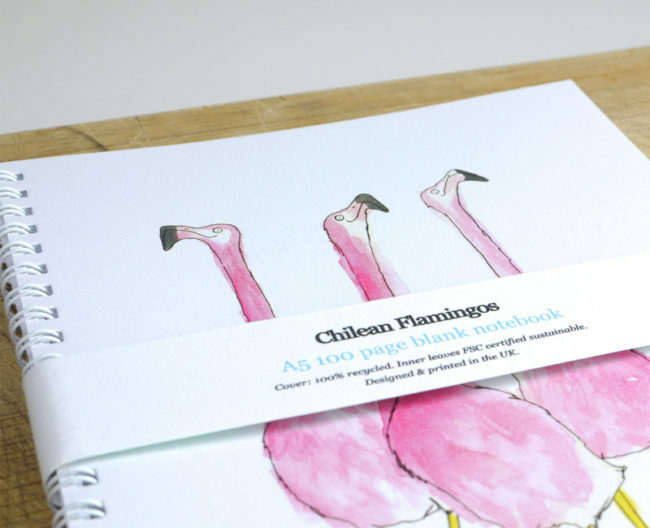 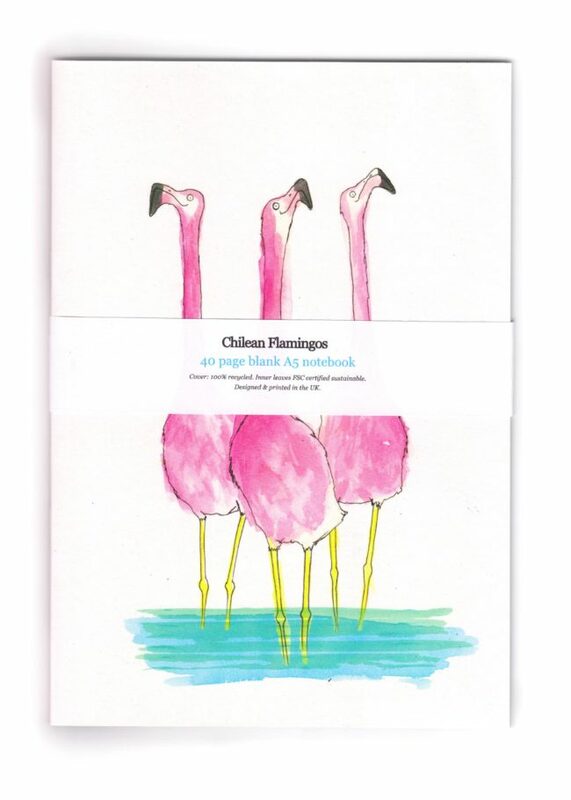 These notebooks feature my original watercolour, pen and ink illustration of Three Chilean Flamingos mid-display “dance”. A5 – 40 page blank saddle-stapled high quality notebook. 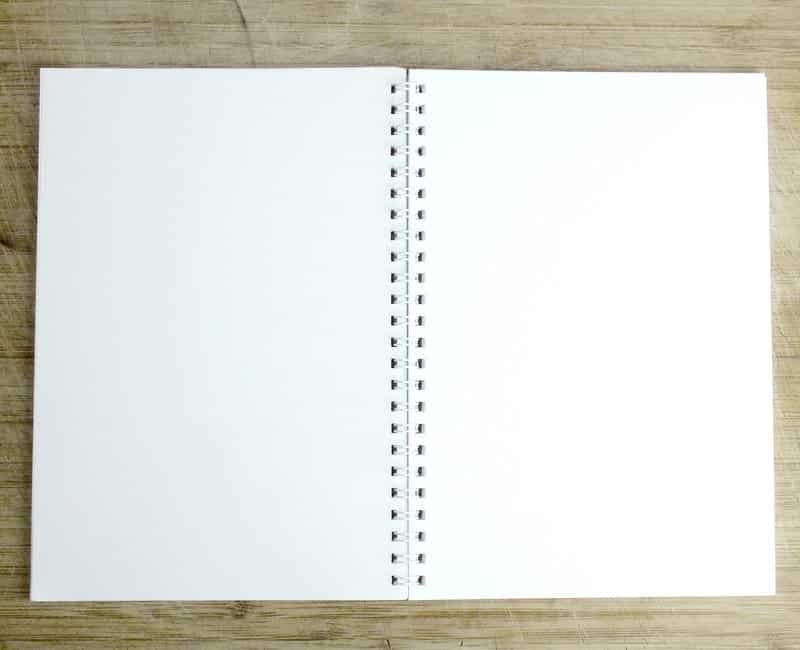 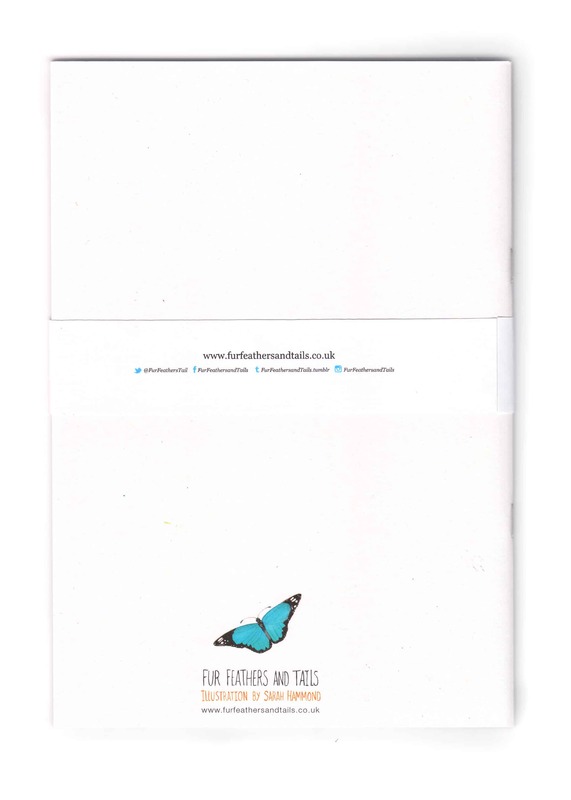 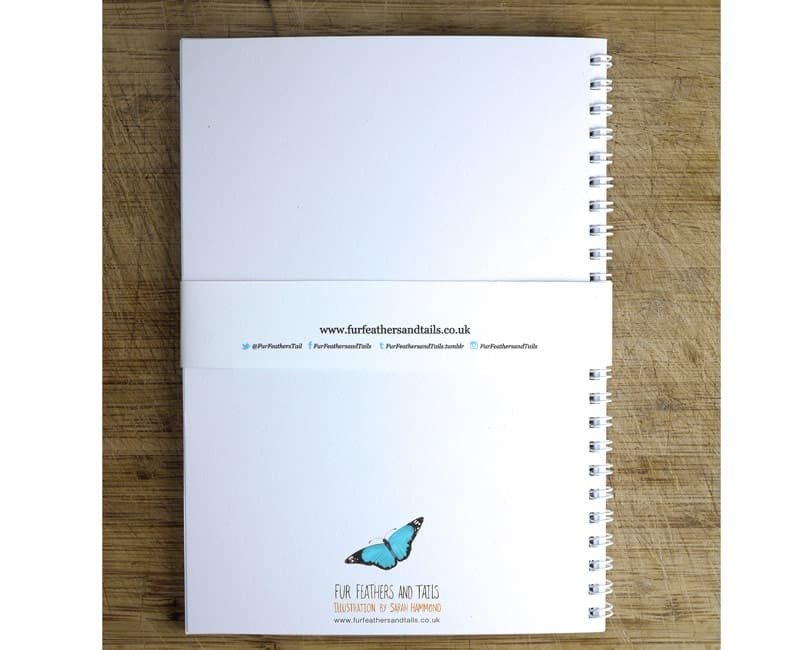 A4 – 40 page blank saddle-stapled high quality notebook.